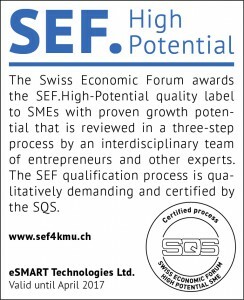 The company eSMART was founded in 2011 as a spin-off of the Swiss Federal Institute of Technology (EPFL) in Lausanne, Switzerland. Our company develops intelligent control systems for your home or workplace. These systems can be used locally or remotely and show you where, when and how you are consuming energy. Appropriate tools are offered to lower your energy consumption. The eSMART adventure started in 2009 when Fabrizio Lo Conte and Laurent Fabre were doctoral researchers at the EPFL and realized that automatic control systems of buildings, even in an advanced form, could only be integrated into new buildings and above all, were barely affordable. The challenge was accepted with the aim of developing a simple, easily accessible and user-friendly building automation system. Later that year, the first installation was completed at the EPFL, where the spin-off had been commissioned to facilitate the visualization of energy consumption for the entire floor of one building. 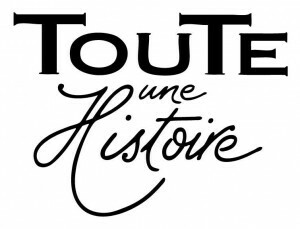 Shortly afterwards, the project appeared on the covers of specialist magazines and eSMART was soon contacted by the construction company Losinger-Marazzi, one of the major players in the field of building construction in Switzerland, and part of the multinational group Bouygues (133,456 collaborators in 80 countries). Our aim is to introduce the latest technologies in terms of enhanced security, comfort and energy efficiency into your home or workplace. Fabrizio’s open-mindedness and vision form eSMART’s guiding principles. He specialises in embedded boards for high-voltage networks. As a truly ingenious engineer, he even developed a micro-brewery in his laboratory. Laurent organises and manages our product range. He is a specialist in smart grid technologies (intelligent power grid management). As an avid wine connoisseur, he has invented his own wine probe. Jérôme is responsible for defining and applying our client-oriented commercial strategy. He specialises in building and industrial automation. In his spare time he enjoys sports and travelling. From a laboratory at the Swiss Federal Institute of Technology (EPFL) to our first business project to equip the largest eco-housing project in Switzerland: click here to read more about our company’s development!